When you build a new fireplace in your home or office, there are several things to consider before selecting and purchasing a fireplace mantel. There are a large range of options and combinations to choose from when selecting the appropriate design for your setting. 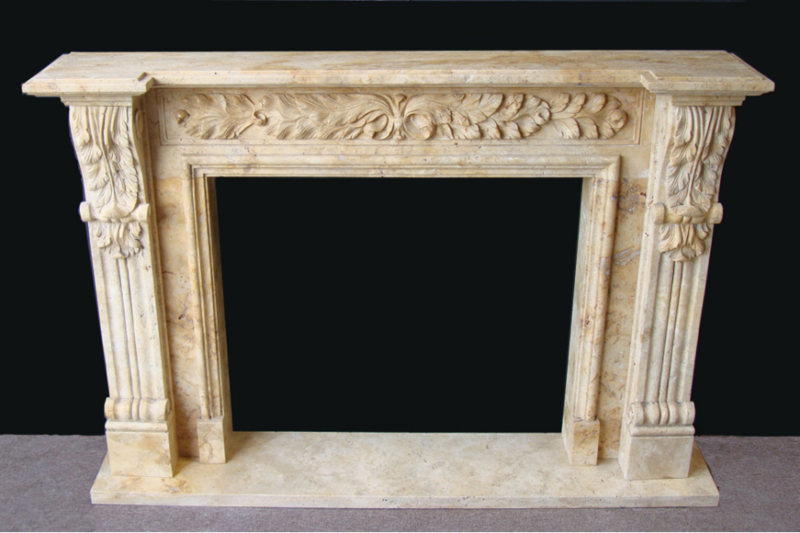 You may already have a certain design aspect in mind before you start shopping for your mantel. You may wish to use a certain material, have a certain design or style, or you may even have a certain color in mind. Even if you know what you want in one area, you still have many options when selecting from the other design features. Today, there are more combinations than ever. For example, you may love the look of marble fireplace mantels, but wish for a more modern look or a darker color option. Now you can still enjoy the marble material, as it is available in more color options than ever before, such as crimson, maroon, peach, gray, and more. There are many natural stone and color options available. Whether you wish to go for a minimalistic style with sleek and smooth lines, a more ornate style with a carved look, or a comfy and homey rustic appearance, there are fireplace design combinations available to meet the needs of your fireplace. To discuss mantel options that will work for your setting, talk with the experts at your Los Angeles fireplace mantels provider who can help you choose from pre-made or custom built options.